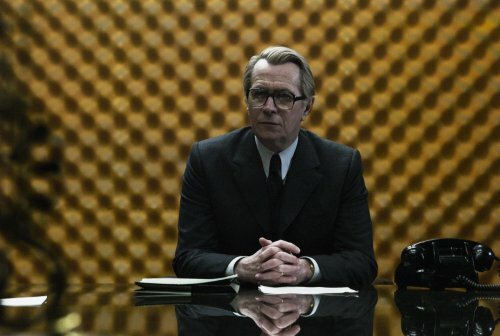 The newly re-branded UK arm of European powerhouse STUDIOCANAL stormed out of the blocks this weekend as TINKER TAILOR SOLDIER SPY, the first film to carry the company's new banner, debuted at number one at the UK and Irish Box Office, becoming the third biggest 3 day September opening on record. The picture, a Working Title production, fully financed by STUDIOCANAL, delivered the latter's biggest ever three day UK & Ireland opening figure with £2.805m from 382 sites for a per screen average in excess of £7200 and crowned a mighty year for the company becoming its second number one movie of the past 12 months (after UNKNOWN) with box office takings in 2011 already making it the biggest in its 11 year history. 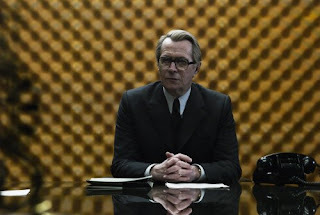 Speaking on Monday STUDIOCANAL UK Chief Executive Danny Perkins commented "We're delighted to be able to celebrate such a terrific launch for both TINKER TAILOR SOLDIER SPY and the new STUDIOCANAL brand in the UK. These outstanding opening weekend figures are testament to the quality of the film that our friends at Working Title have delivered, the tireless support and availability of this excellent cast and director and to the hard work, creativity, skill and passion that the STUDIOCANAL team have poured into a film that we are immensely proud to release." Sales of the John le Carre book also saw a significant increase following the film's UK film premiere (Tuesday) which publishers expect to result in a high bestseller list placing when figures are announced this week. Speaking about the movie in an earlier statement le Carre had said "The film, through my very personal prism, is a triumph. And if people write to me and say, ‘How could you let this happen to poor Alec Guinness,’ I shall reply that, if ‘poor Alec’ had witnessed Oldman’s performance, he would have been the first to give it a standing ovation. It’s not the film of the book. It’s the film of the film, and to my eye a work of art in its own right. I’m very proud to have provided Alfredson with the material, but what he made of it is wonderfully his own." The spy thriller features a stellar cast including Gary Oldman, Kathy Burke, Benedict Cumberbatch, Colin Firth, Tom Hardy, Ciarán Hinds, John Hurt, Toby Jones, Konstantin Khabensky, Svetlana Khodchenkova, Roger Lloyd Pack, and Mark Strong. Directed by Tomas Alfredson, it is a Working Title production for STUDIOCANAL.